It had to happen. 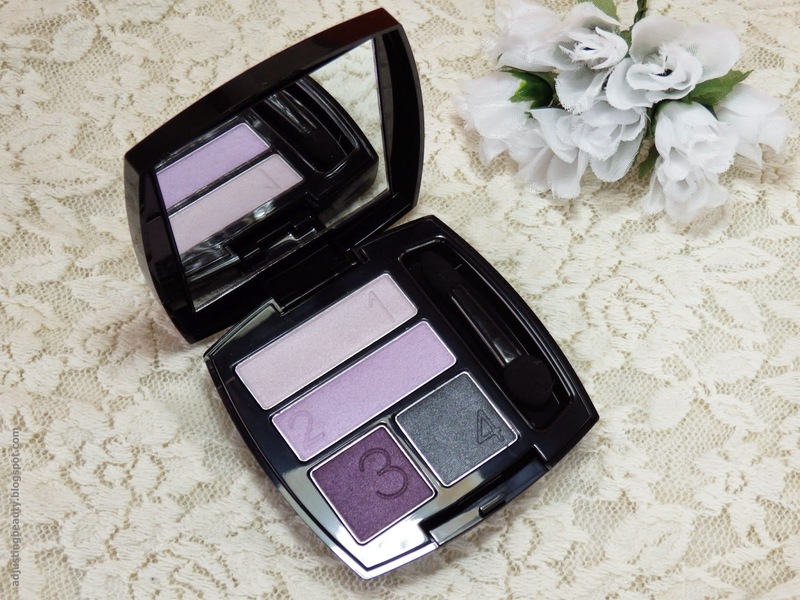 I bought my second Avon True Color Quad eye shadow palette. I'm just gonna say at the beginning, it's definitely not as loved as my Mocha Latte palette. Simply, because I thought the shades would be warmer, but it's actually a pretty cool toned palette. I should have gone with Berry Love. Nevertheless, it's here now and for those who are interested, here is what I think of it. The palette is pretty sleek black shiny packaging. It "clicks" nicely and it's well made. The applicator in it is well, unnecessary. It has been pointed out to me that numbered shades are very helpful to people, who are not that good with makeup application. It's a cheat sheet, so you know how the colors will blend together nicely. 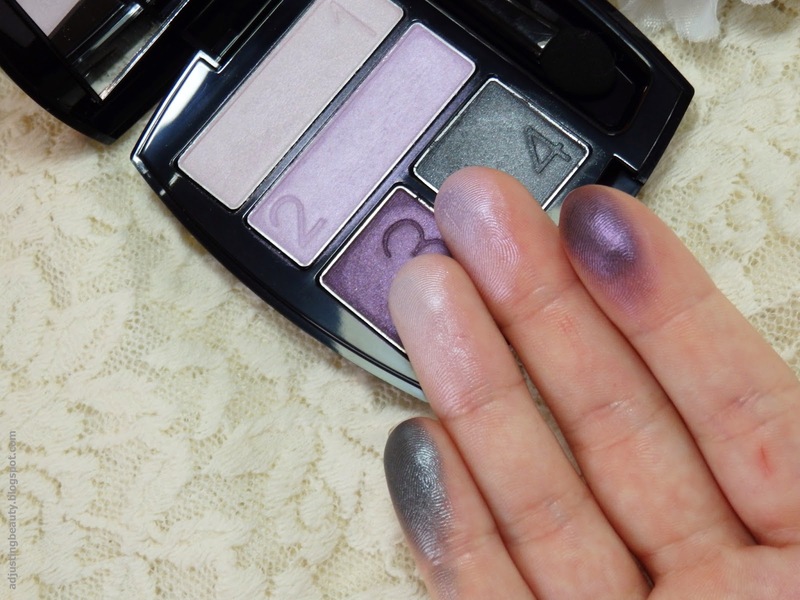 All the shades in this palette are shimmery, which is a damn shame. Mocha Latte palette two of my favorite matte brown shades ever. First shade: is a very light warm pink shade with a purple undertone. It's the least pigmented in the palette. Second shade: is a very light lavender purple shade. It has a very cool undertone to it. 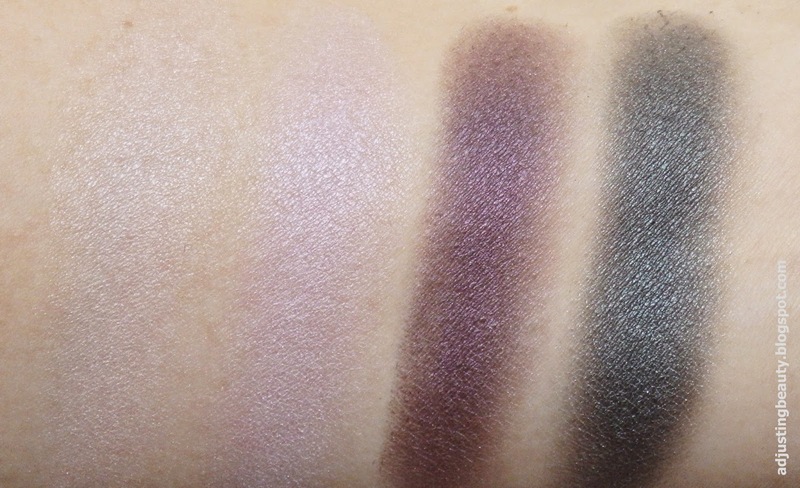 Third shade: is very dark warm toned eggplant purple shade. It's my favorite shade of the palette. It has a very lavender sheen to it, but is still pretty warm and very dark. Fourth shade: is a dark charcoal grey shade. It's also very dark and cool toned. If it was up to me, I would change the grey shade for something more vibrant purple. It just seems like it doesn't fit into this palette of shades. All the shades are very silky and they really do apply nicely and bland. I think the quality of their formula is one of the better once. Here I used all the shades, except for the grey. I used shade 1 in the very inner corner of the eye. Then I blended shade 2 in the first third of the eye and I used shade 3 all over the entire lid and up. Honestly, the first two shades blend seamlessly together, so that it doesn't even seems like there are two shades. I don't really understand that and find it a bit boring. I definitely like the shade 3 and use it a lot. 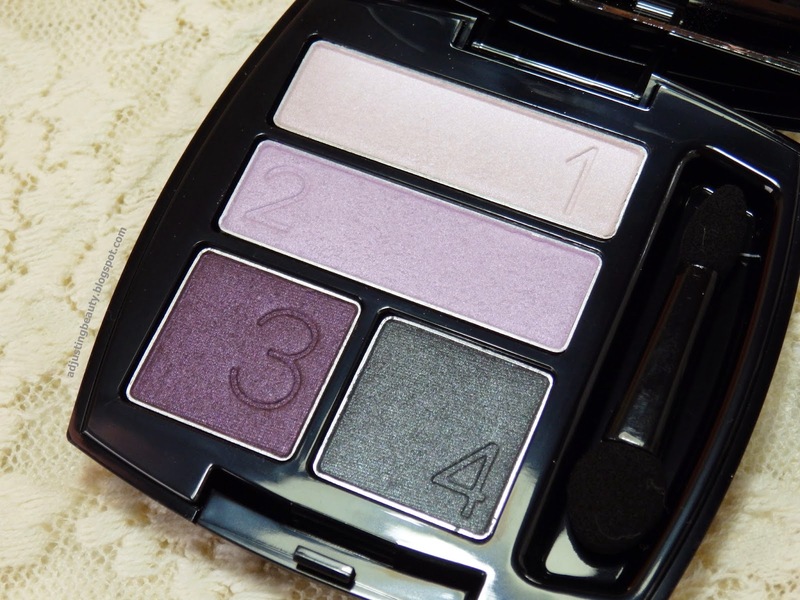 I also love the shade 2, which is a really pretty lavender shade that I've seen on so many models for the spring 2015 makeup. As far as the other shades go, they are not interesting or not my style. I wish I would have chosen a warmer purple palette instead of this one. But you how it is...it seems nice on the paper, but once you get it, the shades look very different. Their Mocha Latte palette is one of my most used palettes ever, so I'll just stick to that one. Hvala Ana:)). Ja, obožujem vijolična senčila:). Jaz tudi! :) Hvala Ana:)). A veš, da sem jaz vedno mislila, da vijolična pa nikakor ne paše k oranžni. Potem pa zadnje čase berem kako zelo vijoličen makeup paše k oranžnolaskam. Bom preizkusila to teorijo:). It looks great on you, even though these are mostly cool-toned shades :) I guess Mocha Latte is the most popular palette in the range, it's just perfect for everyday and evening makeup, I think. Thanks Evelin:)). Cool toned shades usually clash with my skin tone. Mocha Latte is really good. Especially their two matte shades are such a good quality, which is rare:). I completely agree with you:). Meni je tudi najbolj všeč 3. senčka :) In res si ustvarila prečudovit make up! Hvala Mateja:)) Imam rada take odtenke:).